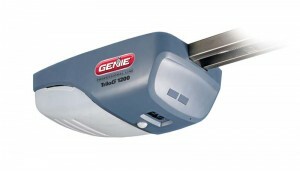 A popular garage door opener, the Genie Pro TriloG 1200, made by GMI Holdings, Inc. and manufactured in the U.S., was recalled on February 25th. There have been four reports of the control board overheating, though no injuries have been reported. The affected openers have a relay in the light control circuit of the control board that can fail, cause the relay to overheat, and potentially catch fire. There are approximately 8,000 in Canada and 10,000 being used in the U.S. currently. They were sold at Canadian Tire, Carter Lumber, Lowes, Menards, The Home Depot and other retailers nationwide and online at homedepot.com from August 2011 through October 2012. This recall involves Genie, models PowerMax 1200 and 1500, and Genie Pro, models TriloG 1200 and 1500, screw drive garage door openers. The garage openers are gray and have a rating of ¾ HPc for the models ending in 1200 and 1 HPc for the models ending in 1500. “Genie” and the model name appear on both sides of the opener. The serial numbers are printed on a label located on the side opposite to the light. Serial numbers for the recalled units start with the following five numbers: 11214, 11215, 11235, 11256, 11298, 11311, 11312, 11313, 11326, 11327, 11336, 11332, 11347, 11348, 12006, 12009, 12018, 12019, 12026, 12027, 12034, 12036, 12037, 12038, and 12058. If you own one you should immediately stop using the product and unplug it. Contact Genie to receive a free repair kit that includes a new control board and installation instructions. You can call them at (800) 488-9918 from 8 a.m. to 5 p.m. ET Monday through Friday or online at www.geniecompany.com and click on “Recall Information” for more information. Genie says on their website that they apologize for any inconvenience and are committed to consumer safety over anything else. They say it will take approximately 4 business days to receive your repair kit, and not to attempt to repair it yourself. If you or a loved one received a serious burn injury from this product or any other defective product that caused a fire, the manufacturer is responsible. You may receive compensation for your injuries if they were caused directly from the faulty product. Call the Burn Injury Firm for a free consultation and evaluation of your incident.